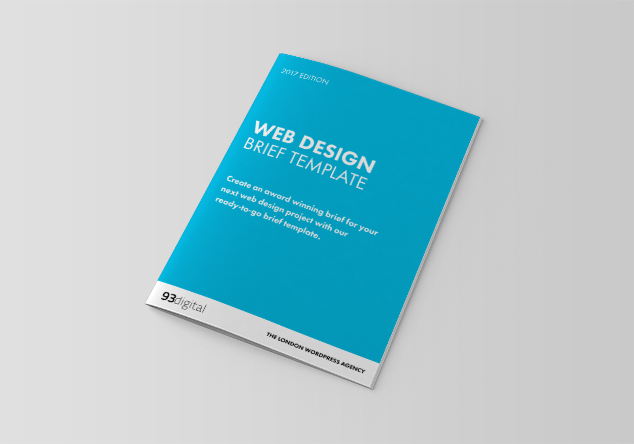 Create an informative & actionable brief for your next web design project with our ready-to-go web design brief template. Every successful web design project starts with a well written brief. The more detailed the brief, the more likely the agency is to understand your needs and the more likely you are to get the website you need and want. We know it can be to hard know exactly what should go in a good brief though, so we’ve put together this super useful free WordPress Website Design & Development Brief template to guide you through all the key areas of putting together an award winning website brief. It will help capture all of the most important details an established web design agency will look for in a new web design project briefing. Just enter your email address on the right and you will receive the web design brief template straight to your inbox – it’s a Word Doc so you can easily get straight to work. Happy briefing, and good luck!